Looking for something to wear to the office Christmas party that belies your affection for the greatest console ever created? Want to effortlessly exude a level of festive swagger and style that transcends all cultures and language barriers? Want a garment so decadent in design that you'll still look like the coolest mofo on the block while you sit there unable to move after stuffing your disgusting bloated face with a metric tonne of chocolate and turkey on Christmas Day? Then look no further than this Dreamcast-themed Christmas jumper design from Coto7. 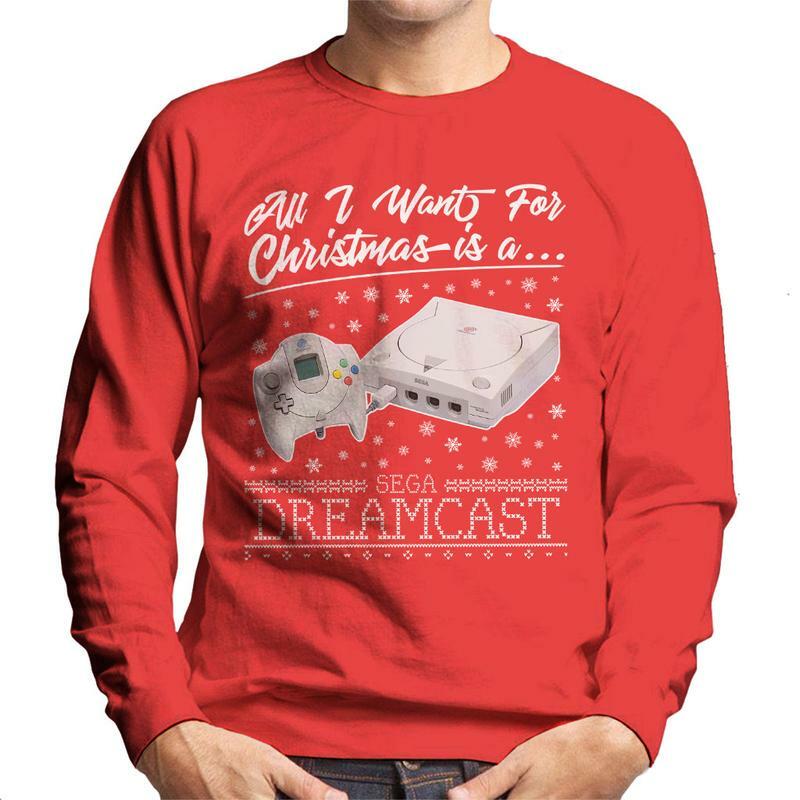 Available in a range of colours (and also several different garment types, including hoodies and varsity jackets), the 'All I want for Christmas...is a Sega Dreamcast' apparel is perfect for showing the rest of the world which way your gaming bread is buttered. The design is screen printed rather than embroidered (and appears to be the standard Dreamcast stock image ripped from Google), but the £20 price tag isn't overly extortionate and Coto7 offers free shipping on all UK orders and reasonable shipping to other arts of the world. These are available in a range of sizes, and in mens, womens and childrens styles. Check out the 'All I want for Christmas...is a Sega Dreamcast' at Coto7 or on Amazon. Will you be sporting one of these at festive events over the annual period of commercial greed and overindulgence? Let us know in the comments, in our Facebook group or on Twitter. i knew there had to be some!